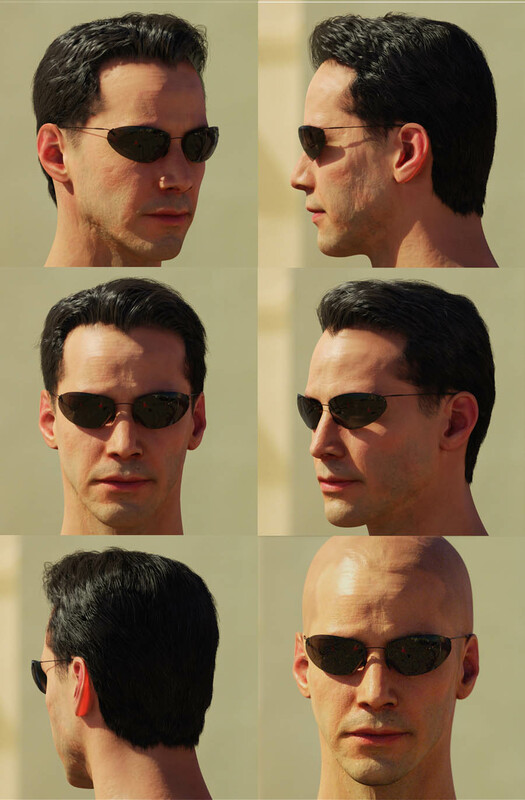 I am very lucky to work on films like The Matrix sequels. Even more fortunate, was the big responsibility given to me in creating the major human characters (Neo, Agent Smith, Trinity, Morpheus, Agent Johnson and the Keymaker) in CG. From modeling to texturing and stuff in between, it was an opportunity of a lifetime. I've gained a lot of experience and a drive for more details in my work. My older works now seem unfinished and dated. This experience has brought me a higher level of quality that I can apply to my own works in the future. 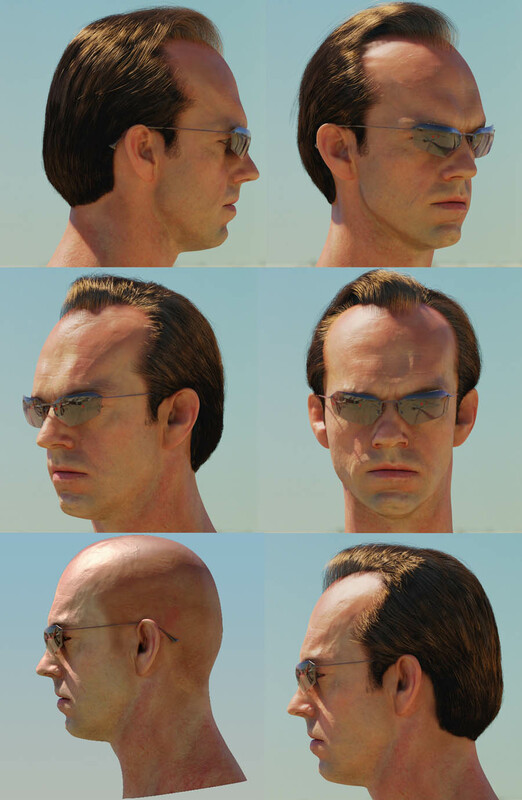 One of the earlier CG version of agent Smith where I modeled and matched the character over a series of turntable photos of actor Hugo Weaving. CG head with facial expression using ESC's propriety univeral capture software. The Super Punch from Matrix Revolutions. 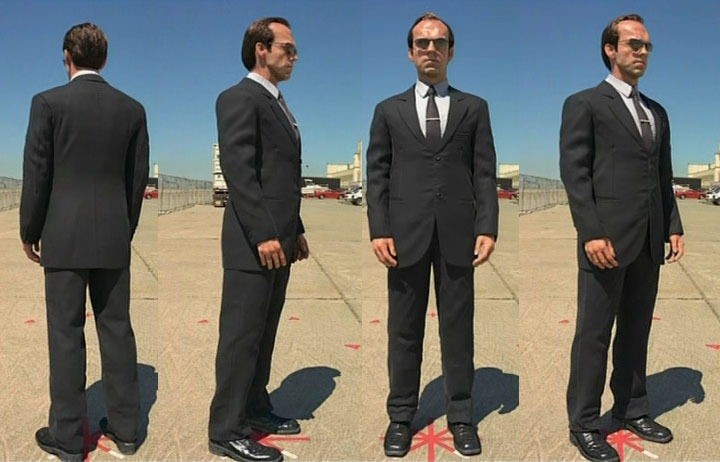 All CG Neo and Agent Smith, actually everything. 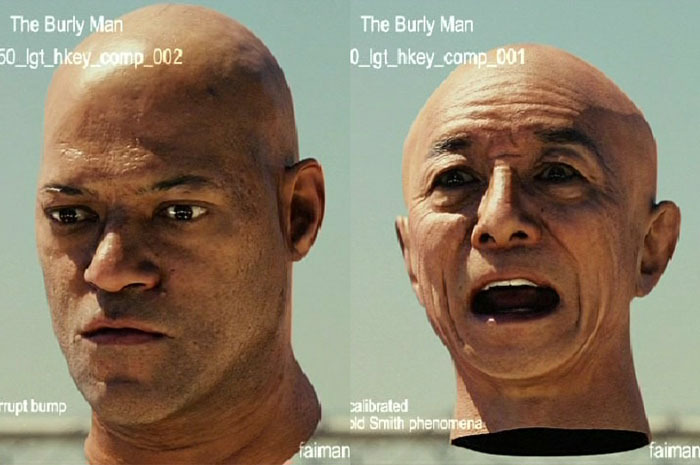 Here are some frames that combine universal facial capture data, blendshapes, lattices and wire deformers. Out of all the Matrix character I've created, my favorite was Trinity. I think it's because her outfit was more exciting and had more details. @ the freeway chase film set.